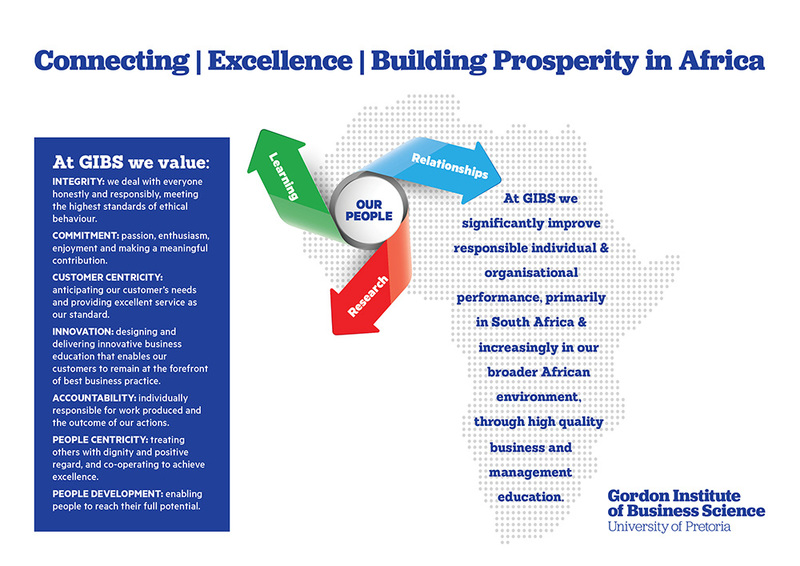 At GIBS we believe in business. We believe passionately that business can, and should be, a force for good, a force for positive change, and a force for the economic development our country and continent so desperately needs. 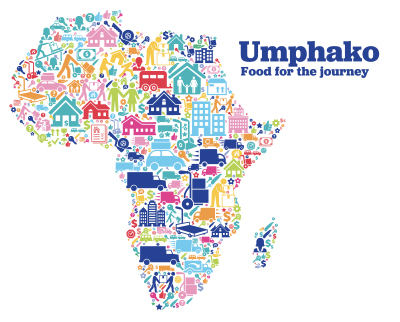 We believe that business should work closely together, as well as co-operatively, with government and civil society to create a better, more equal South Africa of which we can all be proud. Whilst we are firmly rooted in a university system, we are, as organisation, philosophically close to business and this is enacted in everything we do. Building management and leadership capability sits at the heart of any business school. While this is our primary focus, we believe that we play a crucial part ensuring business executives are able to develop a broader view and constructively engage with government, labour and civil society – both locally and internationally. Through this, we enable the building of competitive institutions so that business can responsibly generate the growth that the country needs. Over the years GIBS has refined its management education offerings across a wide spectrum embracing degree programmes, open courses and offerings tailored to individual clients and consortia to effect behaviour change through the acquisition of knowledge and skills. Impact is core to the design, delivery and assessment of GIBS programmes. We create programmes that equip students to take up the reins of leadership to successfully propel businesses forward in the context of a dynamic and changing global environment. GIBS works with more than 6 000 executives, managers and scholars every year across multiple countries. Our world-class campus situated in the heart of Johannesburg, one of the great African cities, coupled with our internationally-recognised faculty and associates, as well as our unique learning methodologies enable us to offer students a transformative learning experience. ​The Association of MBAs (AMBA) – the international impartial authority on postgraduate business education. The Academy of Business in Society (ABIS)​ – a global network of over 130 companies and academic institutions whose expertise, commitment and resources are leveraged to invest in a more sustainable future for business in society. The Association of African Business Schools (AABS) – supports graduate business schools through capacity building, collaboration and quality improvement programmes for deans/directors and faculty from African business schools. The South African Business Schools Association (SABSA) – assists in creating an effective means of leveraging information, skills and expertise between business schools and assists to develop the business education sector in line with international standards. Principles for Responsible Management Education (PRME) – a voluntary initiative to stimulate responsible management education, research and thought leadership and is inspired by the UN Global Compact. ​AACSB Accreditation​​​ – ​​AACSB provides internationally recognized, specialized accreditation for business and accounting programs at the bachelor's, master's, and doctoral level. The AACSB Accreditation Standards challenge post-secondary educators to pursue excellence and continuous improvement throughout their business programs. AACSB Accreditation is known, worldwide, as the longest standing, most recognized form of specialized/professional accreditation an institution and its business programs can earn​.